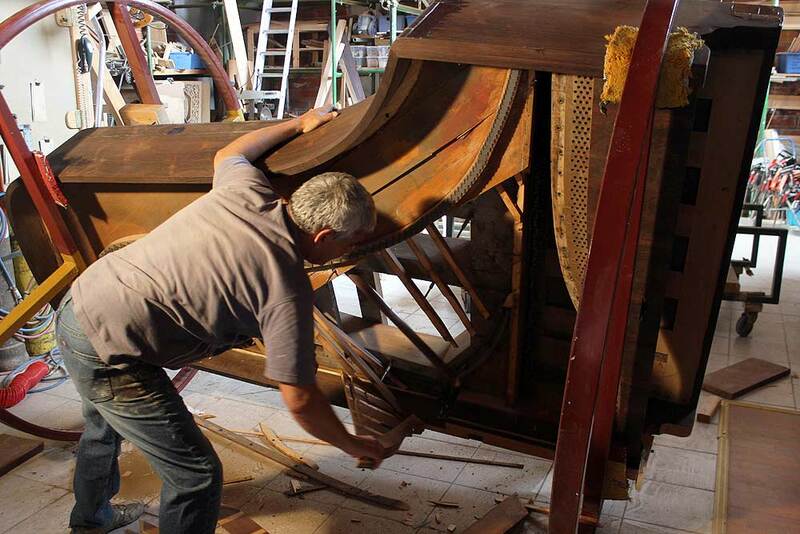 What is the lifespan of a piano? Sounds true but really unfair considering the cost of a fine grand piano but even more so the sentimental bonding of the family piano where we took our first steps. This piano is no longer useful and it either has to be recycled or reconstructed from scratch. Soundboard replacement every 40 years. According to piano markets, the instrument devaluates 20 to 30% every five years, more for concert use, less for private. 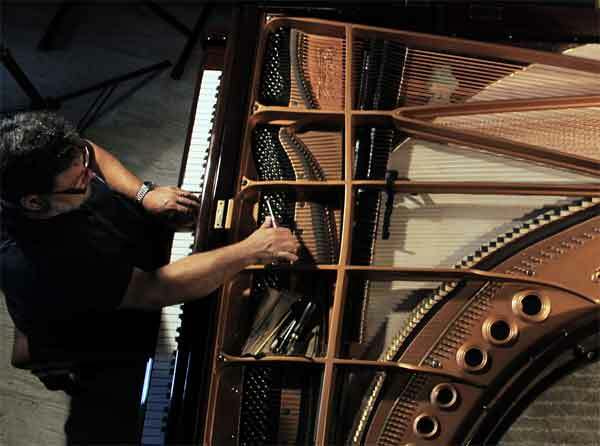 Pianos are two souls in one body: The action and the musical instrument – it is like a car and an engine. Both these systems wear in time due to moisture variations, use, microorganisms and time itself. All these affect both systems although the action is more susceptible to wear by use and the piano sound by moisture variations and time. In other words, more care and stable conditions delay piano aging but it will still diminish in performance even if it is safeguarded and locked in a sterile, insulated environment. To a large extent, pianos are self-destructive instruments. Their own stresses are enormous and they cause plastic deformation on soundboard cells (loss of crown, down bearing and elasticity), stretching of strings (loss of elasticity and breaking point increase), string termination points deformation, warping of keys and shanks, hammer resilience loss, friction variations and all these without even touching a piano! 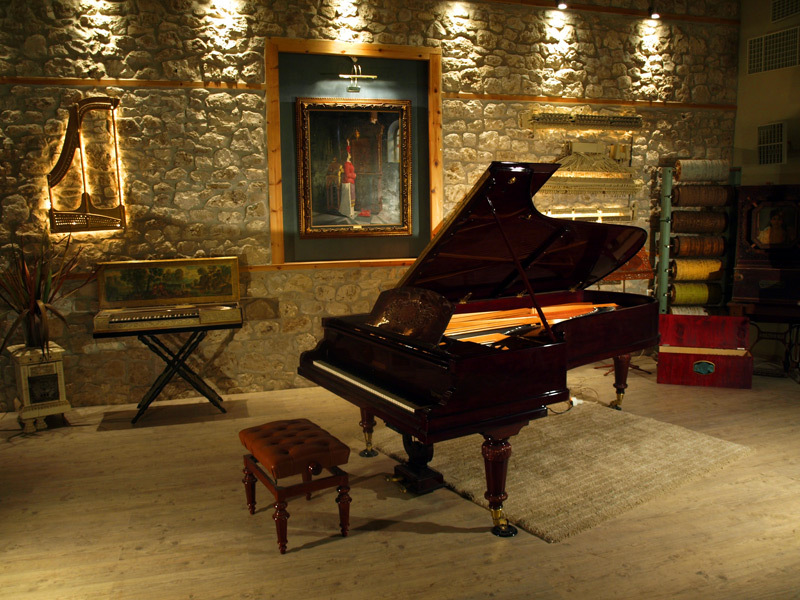 The elegant rich piano sound springs out of the dynamic balance of forces F1, F2 and F3. The soundboard is like a compressed membrane pressing upwards (F2) and the string pressing downwards through the bridge at an angle α (F1). We accurately evaluate these measurements and we monitor them in time. This is evident on the sound of the old piano: dry, short, with a lot of attack and zero swell. Sometimes we may still have sustain and a small but pleasant volume but only traces that remind us of the original glory of the new piano.